Update 6/1/17 10:39am: This flight is already bookable, but it doesn’t appear that award space has been loaded yet. A one-way economy ticket on the inaugural will run you $475, while a round-trip costs $736. Round-trip business-class fares start at $4,177, but there’s no availability on the inaugural. After reviewing your post from earlier in the week, we too agree that charging $1,200 for a domestic basic economy fare is utterly absurd. Effective immediately, we’ll be eliminating the basic economy product. We value the loyalty of our customers and will work tirelessly to regain their trust. And, as a small token of our appreciation, we’ll be issuing 1,000,000 miles to each and every MileagePlus member, and we’ll be issuing full refunds to customers who have purchased basic economy fares. Thank you and good day. Yeah, so, that didn’t happen. But, the airline does have an interesting development to share. As of Friday, October 27, 2017, United will operate daily nonstop flights between Los Angeles (LAX) and Singapore (SIN). 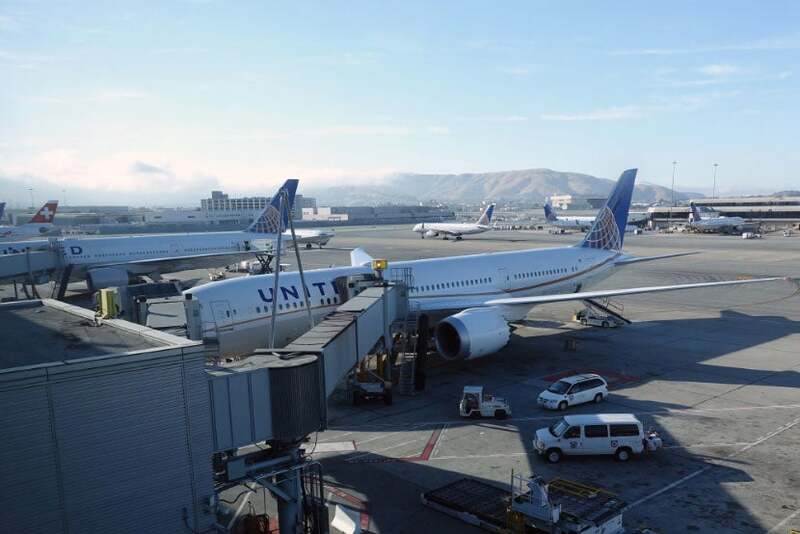 This is in addition to United’s daily nonstop from San Francisco (SFO), which launched one year ago today, on June 1, 2016 (click here for a review of the inaugural flight). Of course, Singapore Airlines is also planning to launch nonstop flights from Los Angeles to SIN, but not until its Airbus A350-900ULRs are delivered sometime next year. At 8,700 miles and 17 hours, 55 minutes of flight time (westbound), this new LAX nonstop will be the world’s longest Dreamliner flight at the time of its launch (note that Qantas’ planned London-Perth flight will span 9,000 miles and launches in March of 2018). It will be just over 300 miles short of supplanting the current world record holder, Qatar’s 9,032-mile nonstop from Doha (DOH) to Auckland (AKL). Flight time will be just 15 hours and 15 minutes on the return leg. Due to the long westbound flight time, it may be necessary to restrict cargo and perhaps even block some seats, though the Dreamliner will likely be able to handle the return leg with a full load. This new United flight will be operated by the 787-9 Dreamliner, the same plane currently flying between San Francisco and SIN. This aircraft offers 48 Polaris business-class seats in a 2-2-2 configuration with 22 inches of width and 78 inches of pitch. This 787 also has 88 Economy Plus seats with 17.3-inch width and 35 inches of pitch, and 116 regular coach seats with 17.3-inch width and 32 inches of pitch. While a bit more spacious than United’s new 3-4-3 economy, regular coach may not be tremendously comfortable on such a long flight. 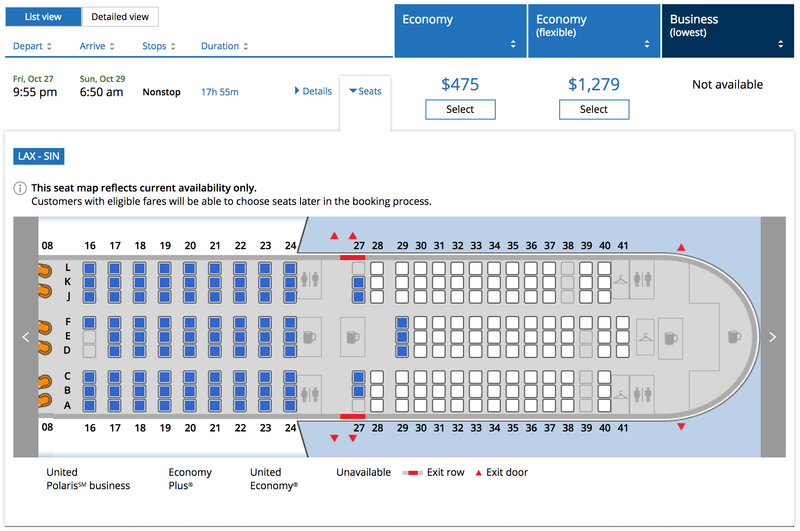 Also, as Singapore’s new A350 is rumored to exclude a regular economy cabin, this United flight may continue to be your only option for low-cost travel between LAX and Singapore. Also note that only United’s 777-300ER currently offers the new Polaris business-class seats, so passengers traveling on the airline’s longest (and, by some accounts, most prestigious) flight will be flying the older lie-flat hard product with Polaris service, including bedding and upgraded meals. I’ve reached out to United for a timeline on the new Polaris seats rolling out to this route. United has also announced that it will be terminating nonstop service from Hong Kong (HKG) and SIN on October 27, and SIN to HKG on October 28.